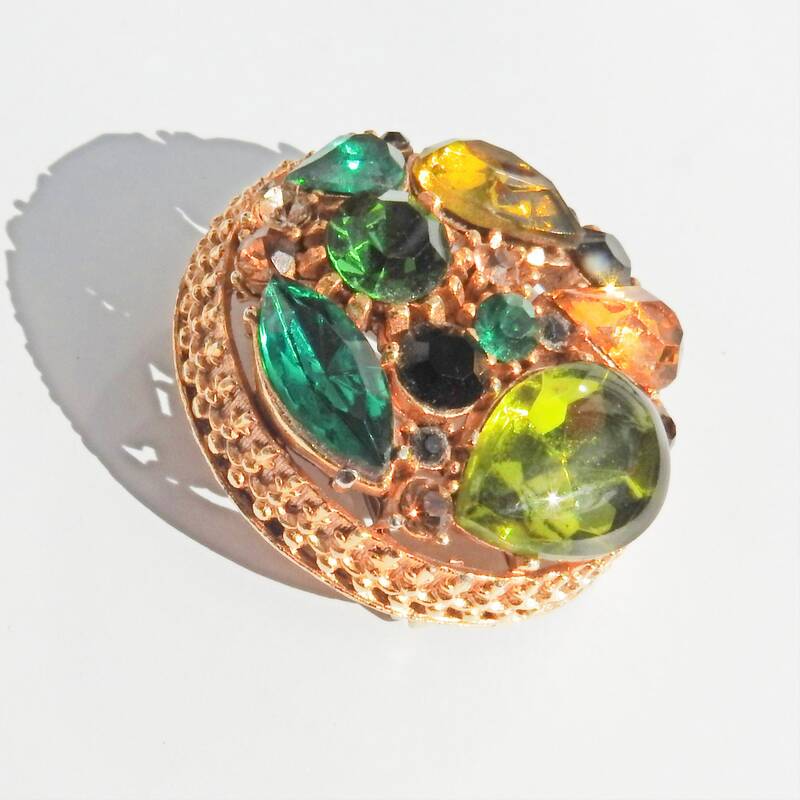 Brighten up your outfit with this ultra flattering sphinx brooch jewelry! 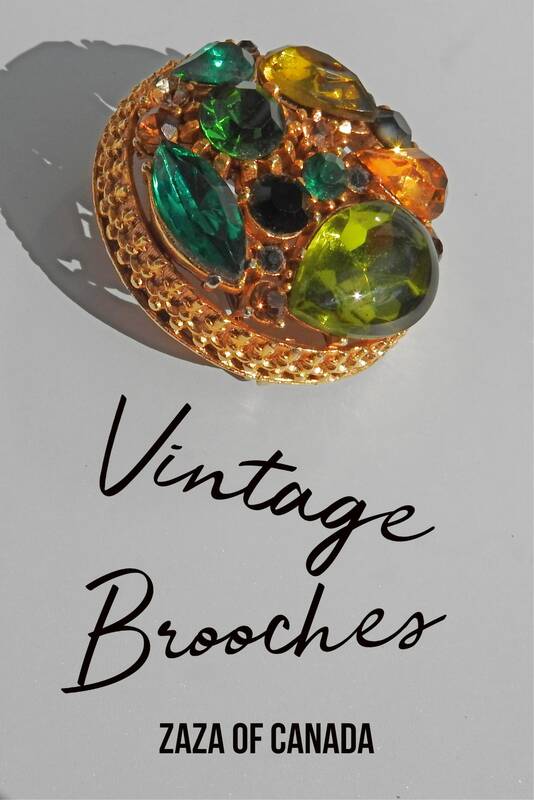 Looking for chic and classy antique rhinestone brooches? 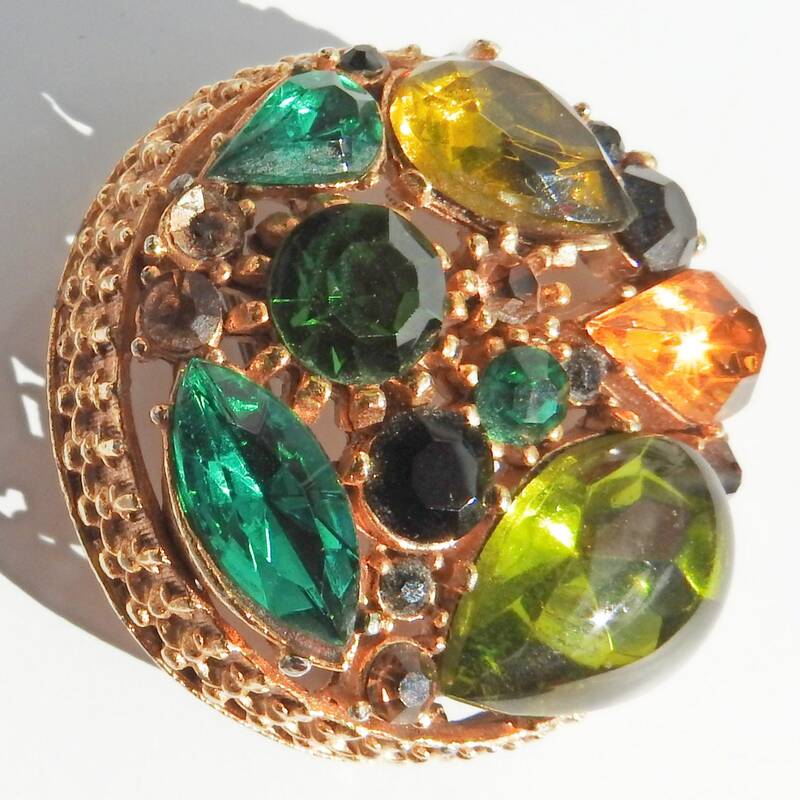 You will love this green round brooch! 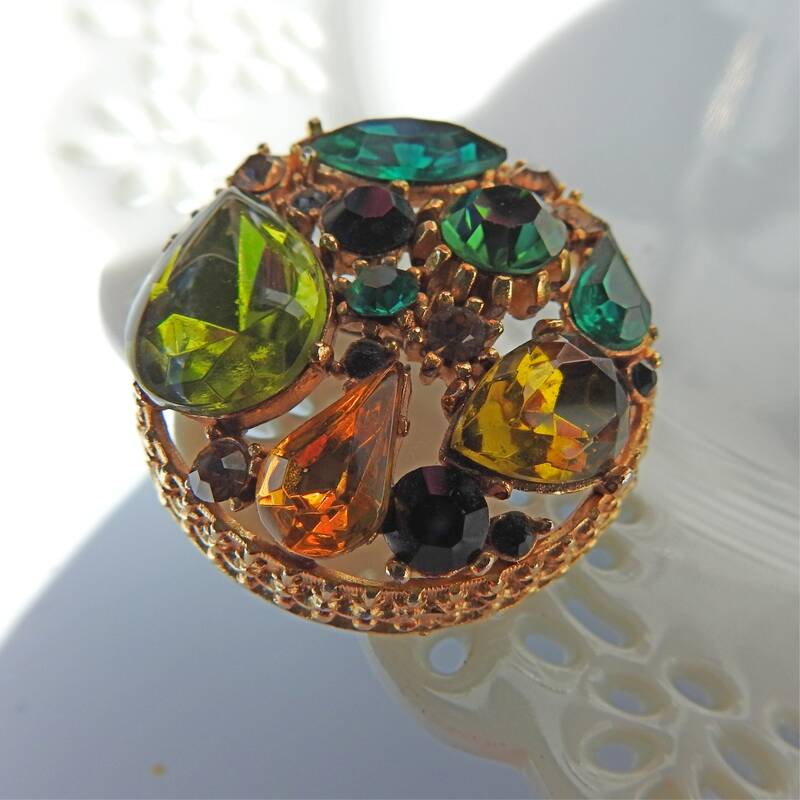 This listing is for ONE vintage crystal brooch. 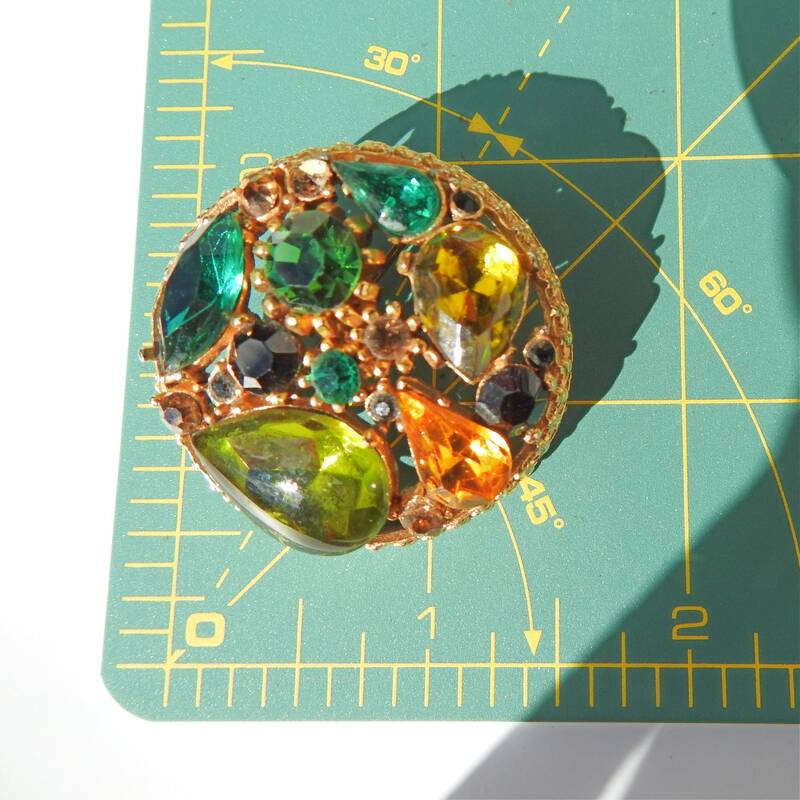 • Rhinestones color: yellow, light green, black and emerald green brooch. • Metal color: Gold color. • Vintage, excellent condition, from Victoria Bc. 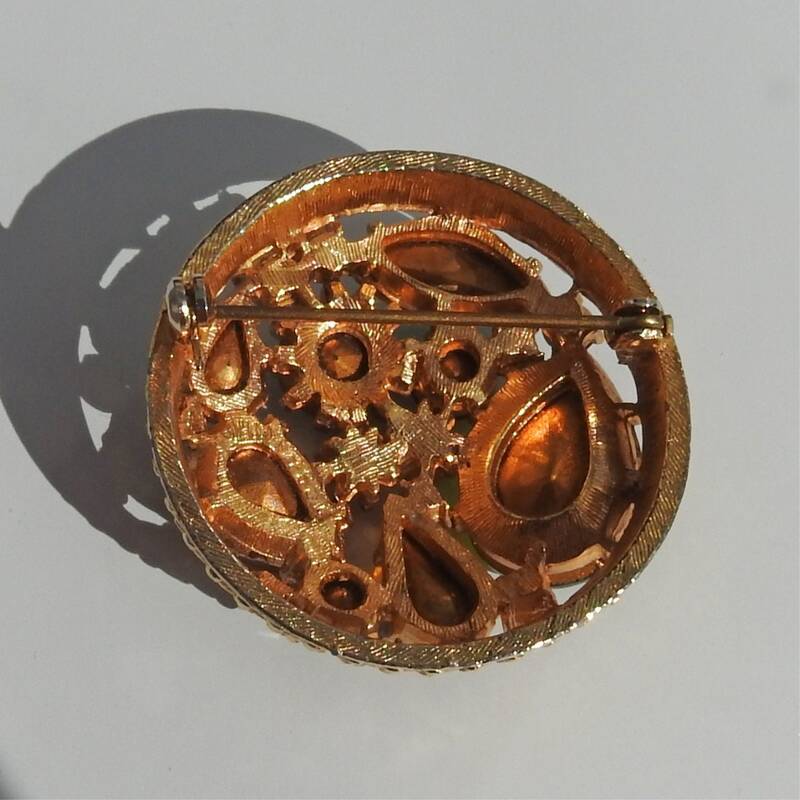 Era: 1950-60 or mid-century style brooch pin. You are desperately counting your pennies, thinking you REALLY want that brooch... You are broke, your dog is at the vet, it’s tax time, you've bought too many shoes... what else can I add... all these unfair and silly reasons not to buy anything else. 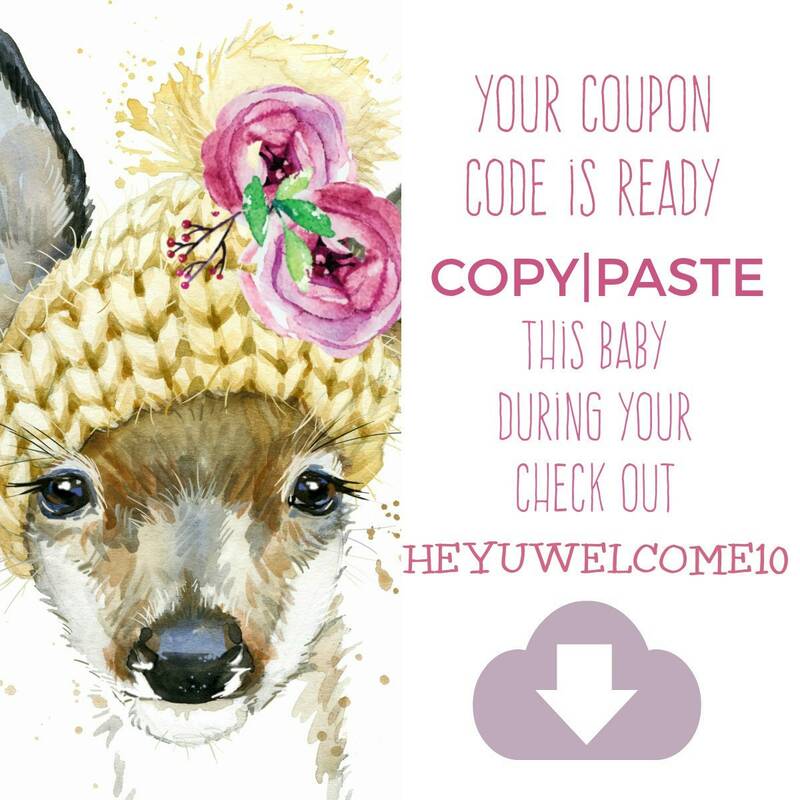 Don't be so sad...make me an offer! I will always come back to you with a yes or a counter offer, but never with a no. Life is too short not to enjoy oneself! Thank you for exploring this adorable sphinx jewelry brooch.